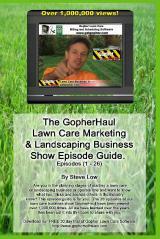 « Should you charge more for double cutting lawns? 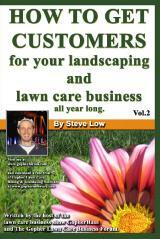 At the end of the day, whether you are mowing, edging, trimming or cleaning up leaves, you are selling your time. You only have so many hours in the day you can sell. When you find others are asking for too much of your time you have to learn to say no. 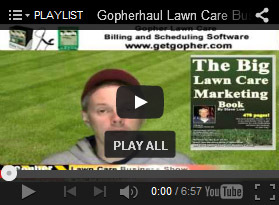 Here is a discussion from the Gopher Lawn Care Business Forum on when it is important to say no and what can happen if you don’t. 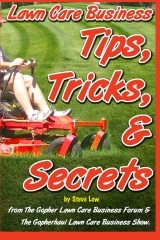 “Over the years, I have talked on and off with this one lawn care guy, who mows a couple of my neighbors lawns. He runs his own show and has been for 20 years or so. It all started one day when I was out front and he was just loading up his equipment, we started talking and ever since we’ve been bumping into each other regularly. 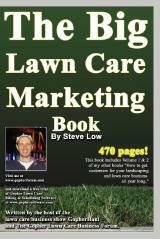 Long story short, we now help each other out all the time now with our lawn care businesses. We don’t pay each other at all, we are just each others best free employees. When ever one gets in a bind, if the other can help, we do that. Now that has been alright. I really can use his help once in a while and he mine. But recently, as if my schedule wasn’t busy enough, a third lawn care business owner has asked me to do the same thing with him. We have also built a good friendship through working together. 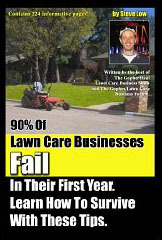 So now, I am finding myself having to help these other business owners with jobs more and more and kicking myself because I should be spending my time building up my lawn care business instead of theirs. 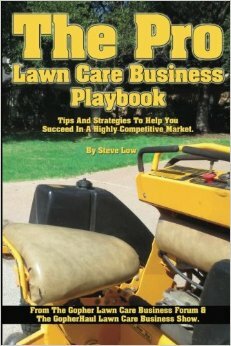 A second lawn care business owner shared “sometimes we have to learn to say NO, to what ever isn’t paying or paying enough. 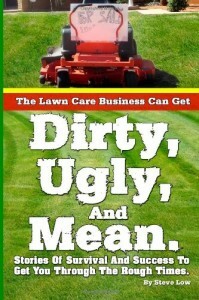 Even if it’s to my own lawn care customers. 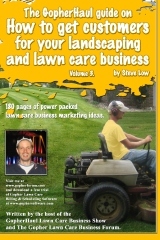 Sometimes I’ll have lawn care customers say ‘hey I’ll give you $30 to mow and weedeat,’ and I just have to say no that’s not enough for me to mow and weedeat. Or I’ll have another customer ask if I can trim this for free or do that for free and I have learned I need to say no. 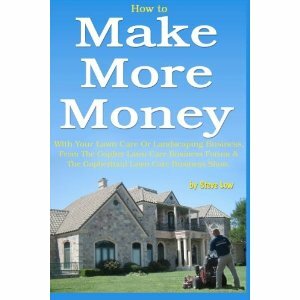 I am running a business and I need to make money during business hours. If a customer doesn’t want to pay me the price I need to not only cover my expenses but make a profit, I need to say no and move on to another customer that will. 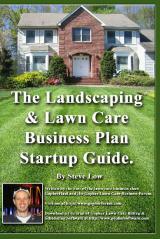 Early on when I started my lawn care business, sure, I would do work for anyone almost without regard for what they were paying me. But as I learned more about operations, I found I had a break even point I had to hit each day or else I was paying the customer to work for them! 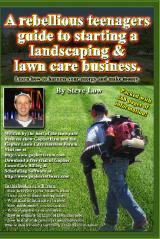 Helping other local lawn care business owners out from time to time is a great thing to do. No one knows when things will happen and you will need immediate trained help. However, it sounds like this has gone beyond helping out from time to time. You all should either start paying each other for your help or you should be hiring a part time employee. If I were in your situation and I found myself busier and busier, I would simply have to tell the other business owner, I just don’t have the time to help today. I would also suggest to them that they have grown to the point where they need some hired help. Be there for each other for emergencies or once in a while, but offering free help regularly is going to sink your lawn care business. 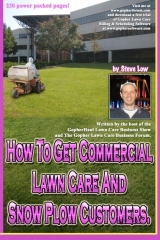 Learn to make the most profits with your time with these lawn care calculators for Android. 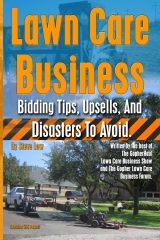 This entry was posted on Monday, September 12th, 2011 at 5:35 pm	and is filed under Business Failure, General Business, Growth, Landscaping Business, Lawn Care Business, Operational Costs, Overhead Costs, Partnership. You can follow any responses to this entry through the RSS 2.0 feed. You can leave a response, or trackback from your own site.